The Southern African Association for the Conference Industry (SAACI) held the first meetings of its newly formed SAACI forums at its national conference in Cape Town last month. The seven forums, which replace the SAACI chapters, provide members with platforms to share knowledge and information about their specific areas of expertise in the business tourism industry. They will also enable SAACI to respond to the strategic direction sought by the public and private sectors on particular issues pertaining to the business tourism sector. The new forums are: Conference & Events Forum, Venue Forum, Services Forum, Destination Marketing Forum, Exhibition Forum, Transport Forum, and Technical Forum. At the conference, each forum set its goals for the coming year, which will be reported on at the SAACI 2012 National Conference, to be held in Johannesburg. Among the goals are member accreditation, the building up of statistics for the industry, improved communication within and between forums, education and knowledge sharing. 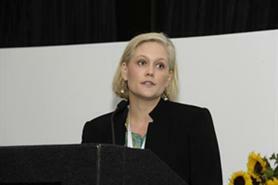 Nina Freysen-Pretorius, SAACI’s national chairperson, said it was imperative that a specific accreditation system was identified for each forum, in accordance with industry standards and trends. ‘It’s essential that we as the private sector self-regulate to avoid being regulated by government without having a say in the matter,’ said Freysen-Pretorius.